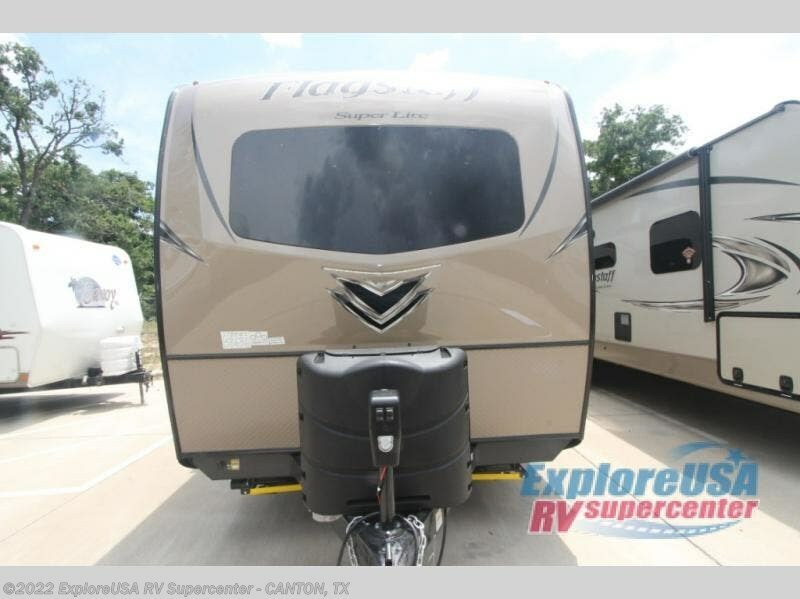 This Flagstaff Super Lite travel trailer is loaded with all of the amenities you need, yet light weight making it a breeze to tow! 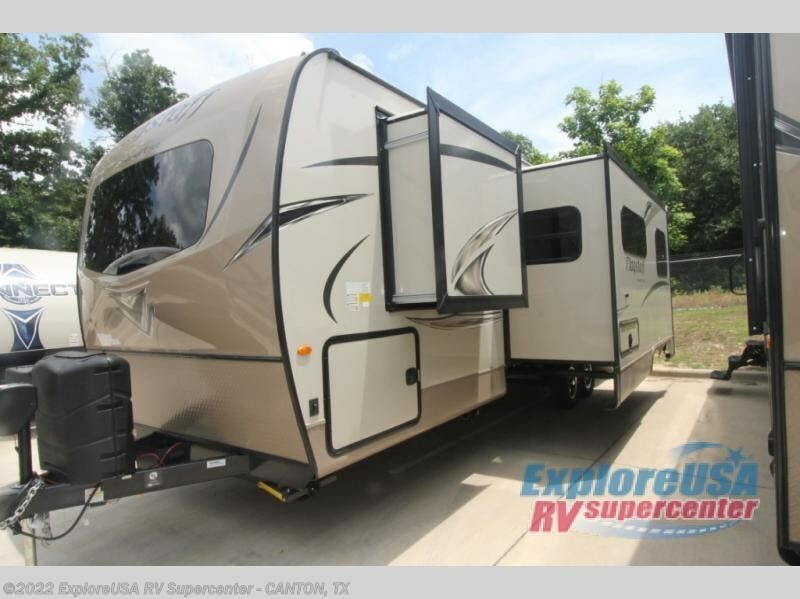 Before you enter model 27BHWS come check out the exterior features. 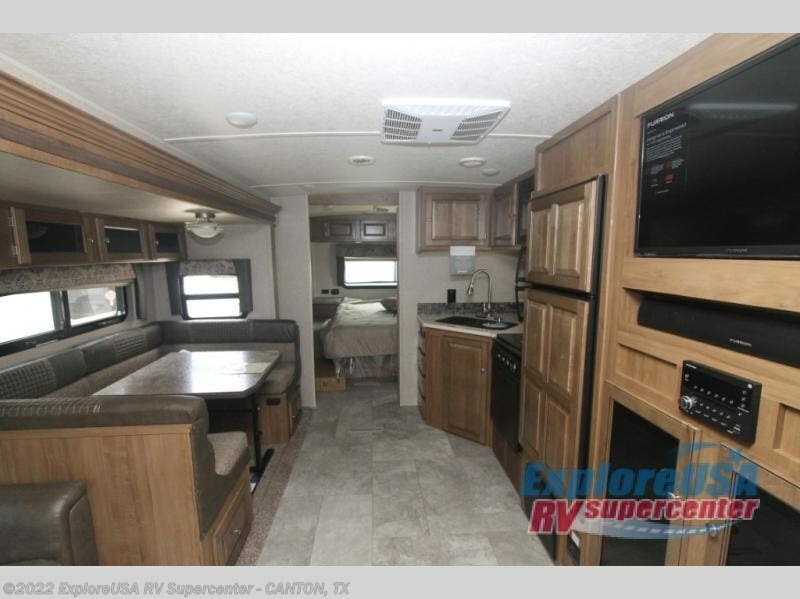 You will enjoy the convenience of the outside kitchen with a pull-out cooktop and a refrigerator. 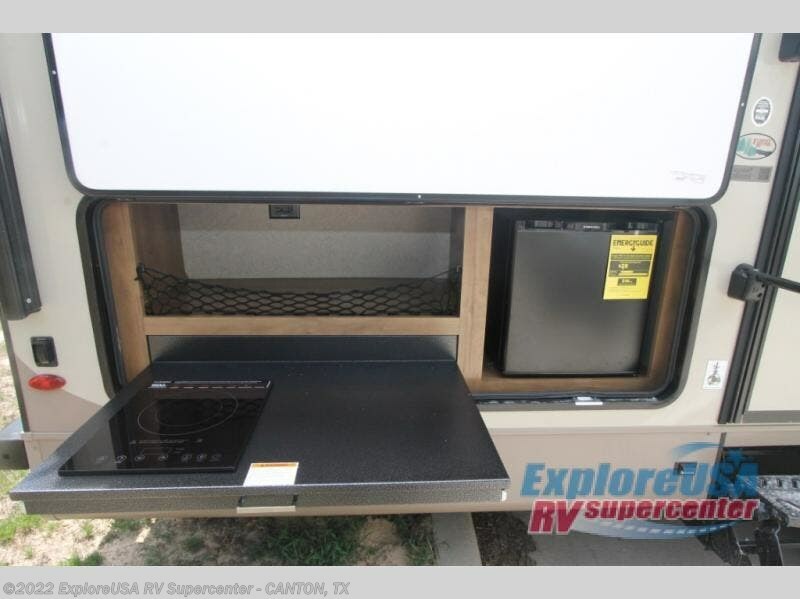 Nearby there is also a gas grill. 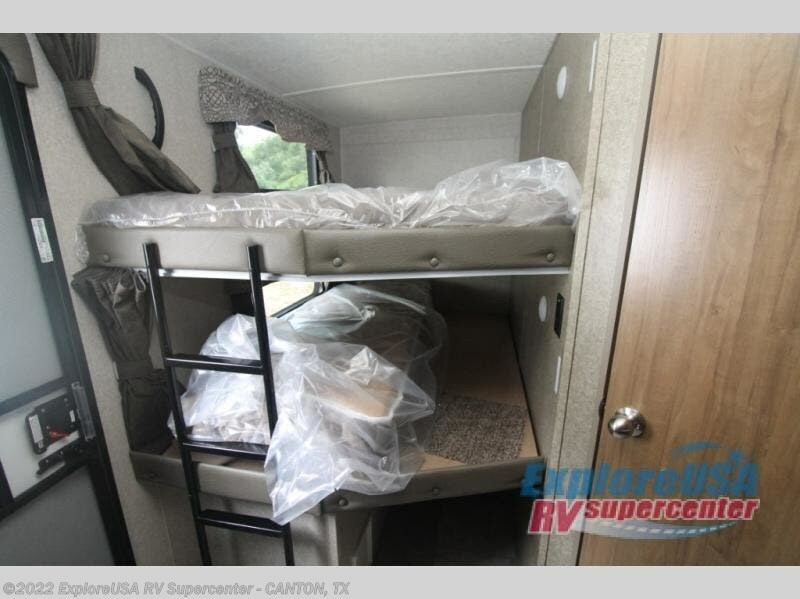 The Drop Frame pass-through storage area is ideal for all of your gear. 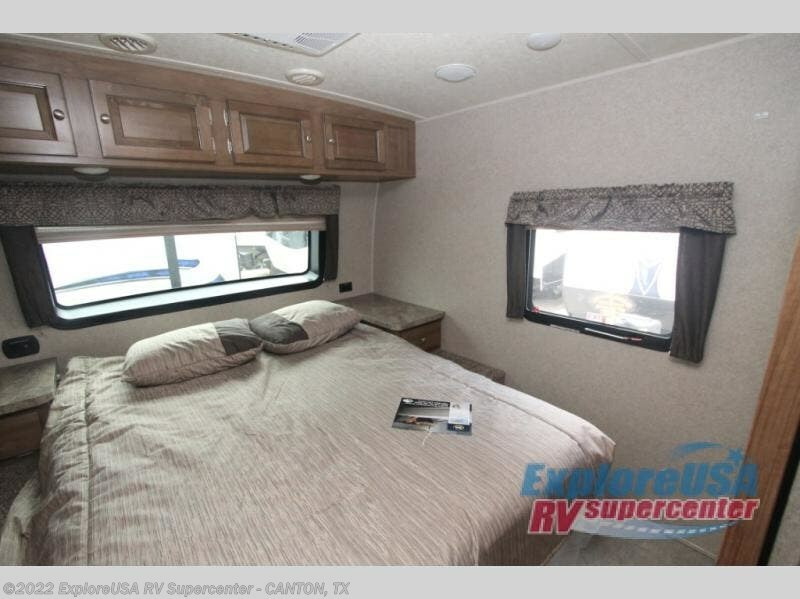 Inside your kids can sleep comfortably at the double over double bunks and mom and dad will enjoy the private front bedroom with a Serta queen bed, plus so much more! 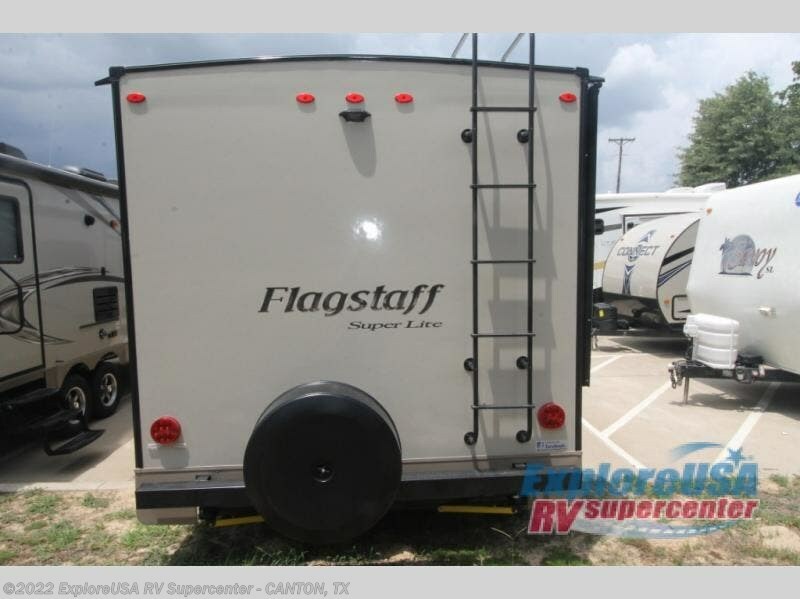 For any camping trip you will want a Flagstaff Super Lite travel trailer! 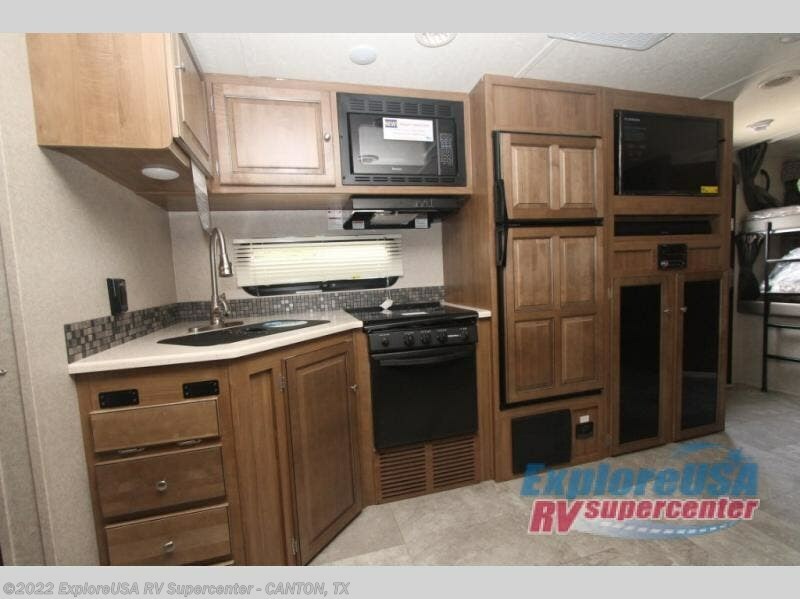 These models have a beautiful Driftwood interior with solid wood and raised panel doors and drawers. 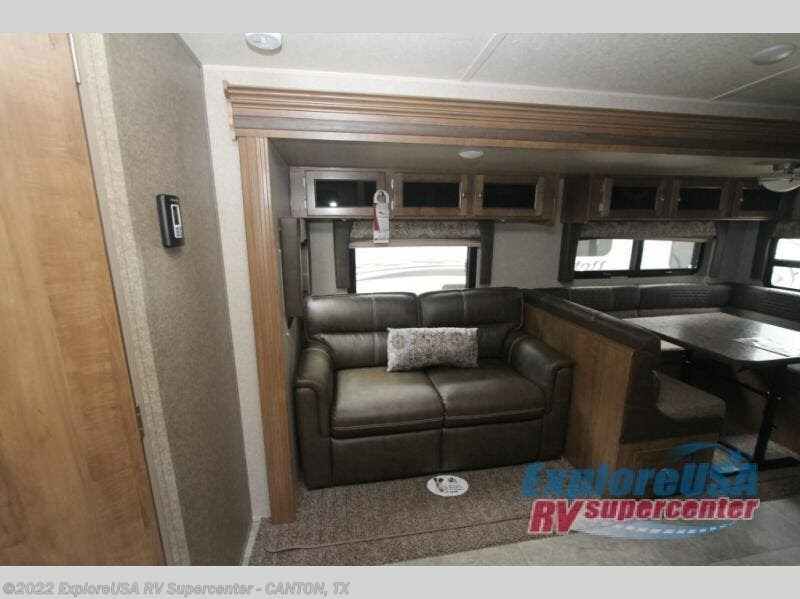 You can rest comfortably in the living room at the heater theater seats with USB ports which come standard or are an optional choice per floorplan. 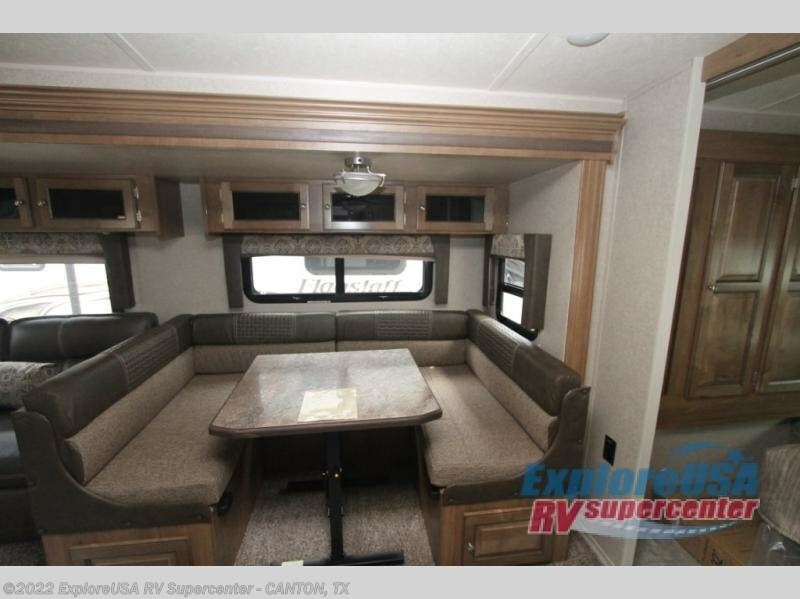 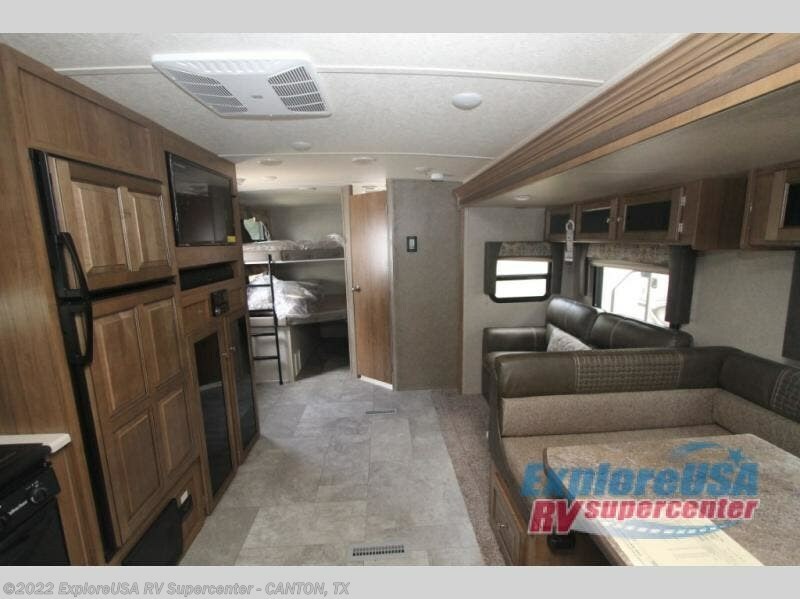 Along the exterior there is a fully aluminum frame, radius roof with interior vaulted ceilings which gives you the most headroom, plus large dinette picture windows where you can sit and enjoy the view. 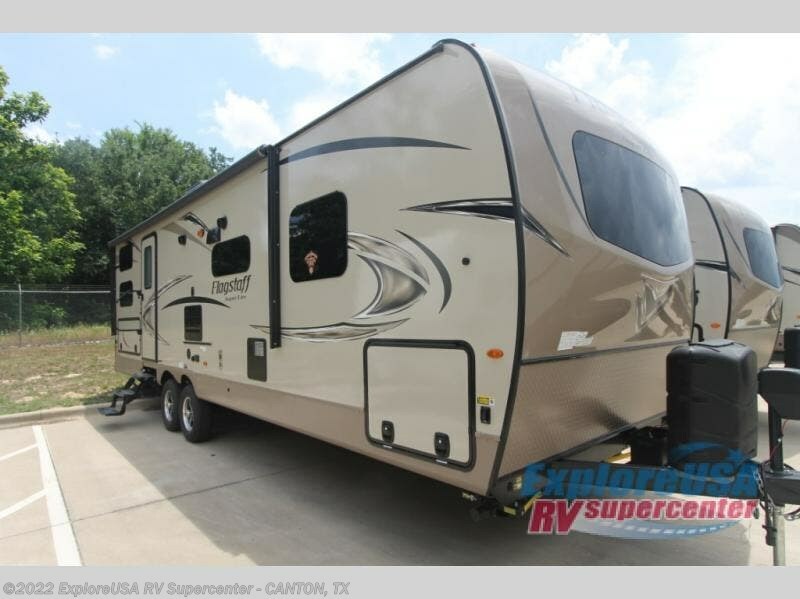 The Standard Packages offer features such as a WiFi ranger WiFi booster, an enclosed underbelly, a power awning with adjustable rain dump and LED light strip, a rear observation camera prep with molded mounting plate, and so much more! 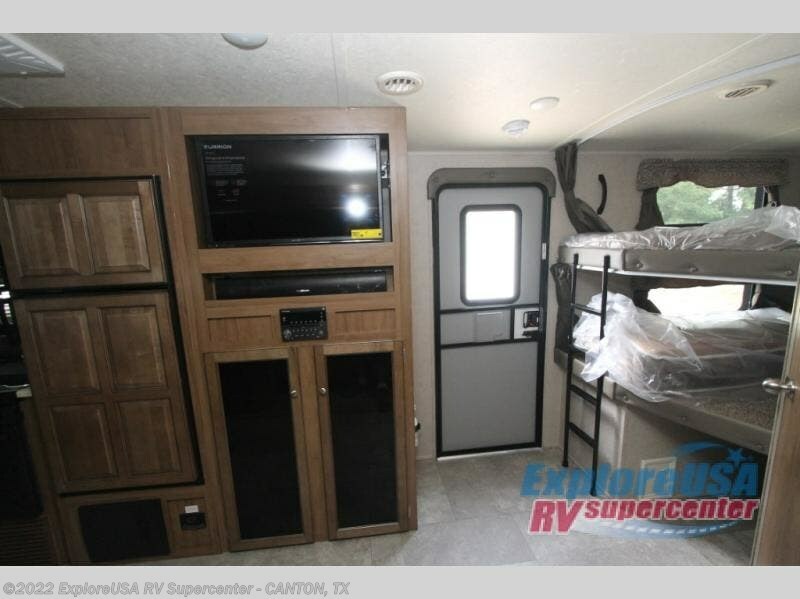 Check out Stock # W2244 - 2019 Forest River Flagstaff Super Lite 27BHWS on forestriverrvsource.com!